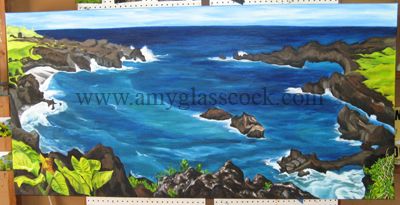 7.8.2010>>> Next my newest Hawaii painting of a black lava beach! 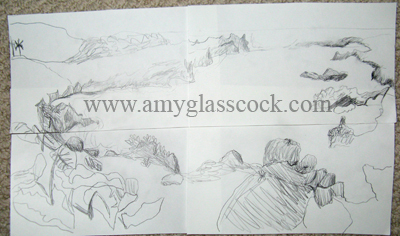 I started sketching out the composition today. Did I mention that this thing is big? 6 feet by 3 feet! Wowza! I started adding the water today. I used blues and greens and some white. Think I'm gonna need more paint. I started adding the black lava today. There are lots of colors in black lava actually. 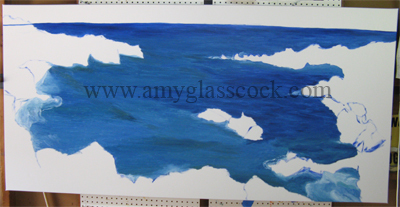 I got some new paint so I added some new blueish greens to the water today. It helped show the contrast in the waves. 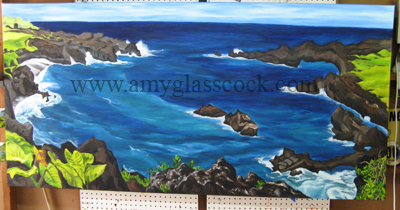 I added more dark blue to the water in the background and I started adding some of the green plants on the lava. I added more of the rocks in the foreground. 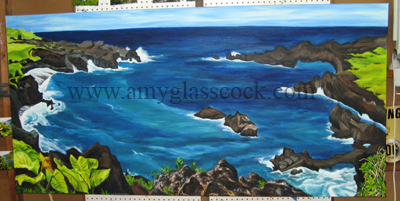 I made the rocks in the foreground a little bit darker to make them appear closer. 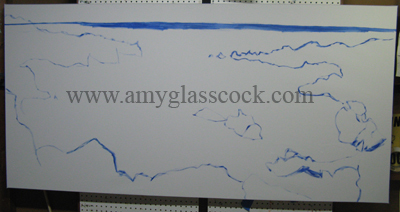 I also added some more of the white splashes in the water. I worked on the leaves in the foreground and also started painting the shrubbery on the right side. 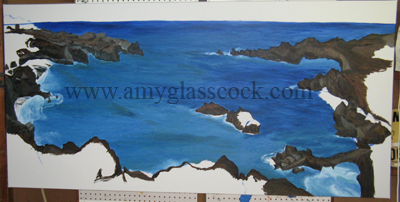 I worked on the water on the right side in the foreground. I also added some more yellow to the leaves. 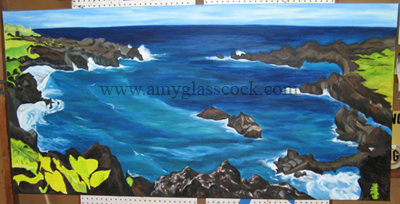 I worked on the water on the right side in the foreground again. It has been annoying me all day. 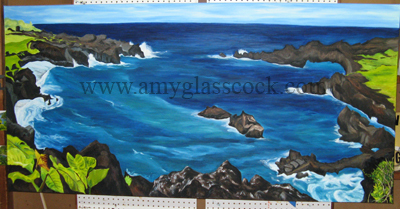 I also worked on the waves on the left side as well. I added some plants near the lava in the foreground. I also added more leave on the right side. I also worked on the grass in the background as well. I worked on the plants on the right side. I added more dark brown/black contrast. 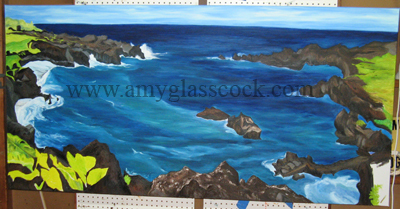 I added some pine needles in the foreground on the rocks in the middle. I also changed the shapes of the leaves on the right side and added some at the bottom of the left side. 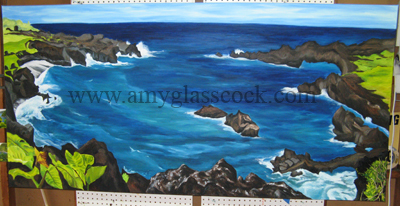 I also made the water in the foreground have a bit more blue green in it. I am finished now I think... more details to come.